Ah, summer. It brings sunny days, clear skies, and in many parts of the world, hot and humid days. But people aren’t the only ones who suffer when temperatures skyrocket. Pets also feel the heat, in fact, they can be more susceptible to it because of their fur coats. 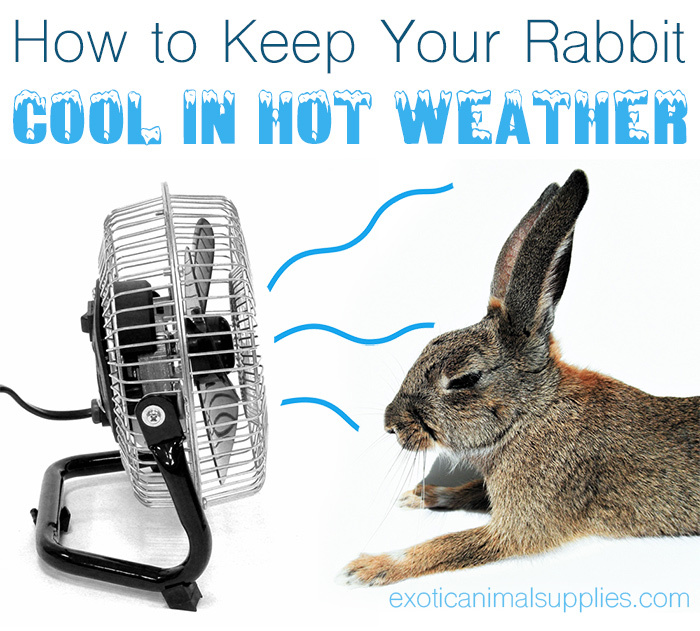 If you’re looking for ways to keep your rabbit cool during hot weather, this article will give you plenty of tips to keep your rabbit comfortable, as well as a few rules to follow to prevent heat stroke. While rabbits aren’t as heat sensitive as other small pets like chinchillas, high temperatures can still be deadly. Some cultural and climate differences guide rabbit owners to keep their pets in hutches in their yard, but we highly recommend that bunnies in the United States and other locations where temperatures go over 75F should live in houses with air conditioning. 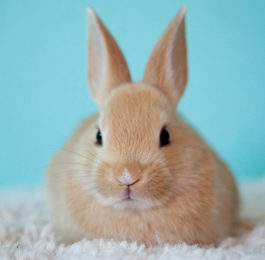 Rabbits control their body heat through their ears. They do not sweat like humans do, so they are susceptible to heat stroke whenever temperatures go above 77F (25C). During summer months, rabbits should be kept in an air-conditioned room to regulate temperatures. If you do not have air conditioning, using a fan and some of the keep cool tips below can help keep your rabbit from overheating. These tips and tricks will help your bunny stay cool during summer weather. Turn the AC on, keeping temps below 77F. Fill 2-liter soda bottles with water and freeze them. 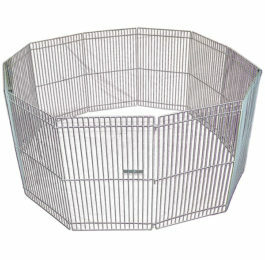 Place them in your rabbit’s cage or playpen and they can lie next to them to lower their body temperature. Provide marble, granite, or ceramic tiles for them to lie on. These will stay cooler than other surfaces. You can also put them in the fridge or freezer for extra cooling. You can easily buy squares at hardware stores or pick up a couple Chinchilla Chiller stones at the pet store. Change your rabbit’s water frequently to keep it fresh and cool. This is especially important if they drink out of a crock or dish. You can add a few ice cubes to keep the water cold longer. 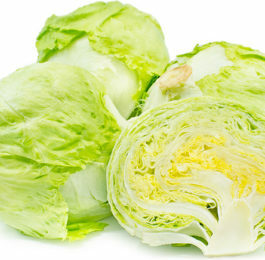 Rinse their veggies in cool water before you feel your rabbit. This will make the veggies cool and provide a little extra hydration. Take their fruit treats, herbs, or veggies for the day and freeze them with water in an ice cube tray. Make sure not to over feed fruit treats. Use a fan to keep air circulating in the room. Make sure it is not blowing directly on your bun. You can put a bowl of ice in front of the fan to create a cool breeze. If you have a long-haired rabbit, consider giving them a trim in warmer months. Try hairstyles similar to what you see on poodles. Shorter hair will help them stay cool. Mist your rabbit’s ears with cool water. This will help lower their body temperature. If you follow these tips and maintain a cool environment for your rabbit, they will stay healthy and happy even during the hottest summer weather. When temperatures sky rocket, you should monitor your bunny for any of the symptoms of heat exhaustion. It’s especially important to pay attention to older rabbits and overweight rabbits as they tend to be less active than young bunnies and it may be harder to see the signs. If your rabbit is showing signs of heat exhaustion, this is an emergency situation. You must immediately take action to lower their temperature and call your rabbit savvy exotics vet for further instructions. Keep your rabbit healthy and safe by putting together a bunny first aid kit and rabbit proofing your home.